Just north of 35E, State Highway 13 traverses a deep ravine used by the Lilydale Road to ascend out of the Mississippi River valley. 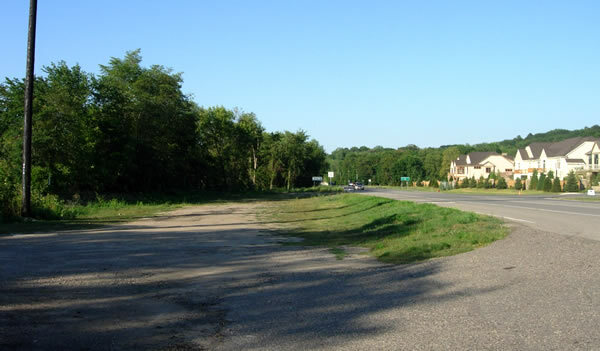 The modern highway then continues past a strip mall before passing over another ravine, shown on old highway plans as "Happy Hollow". The current alignment dates back to 1955, when the road was realigned to correct a major design flaw on the original road. 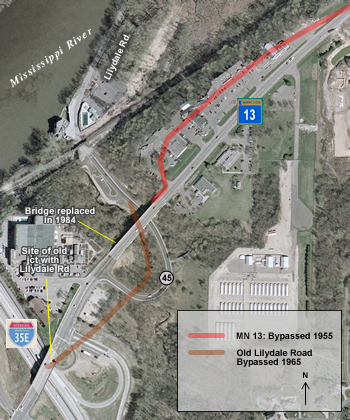 The original road used by Highway 13 had followed the ridge line above the Mississippi River before curving sharply to the south to meet the bridge over the gorge. It was almost as if the road's designers had remembered to connect the road to the bridge as an afterthought. Also of interest at Lilydale is the original alignment of the Lilydale Road. 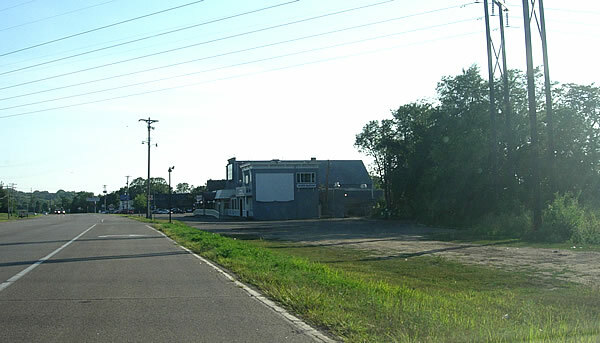 The current junction and alignment date back to the construction of 35E in 1965. The old road curved less sharply while ascending out of the river gorge, intersecting Highway 13 where it now passes over the interstate. 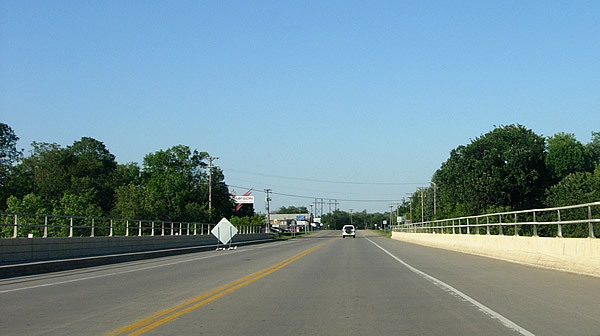 Looking northeast on the bridge over the Lilydale Road, constructed in 1984 to replace the original structure used by Highway 13 since 1934. At the east end of the bridge, the old road curved sharply to the left (north) before running through where Thompson Lightning Protection and River Bluffs Center stand today. Looking southwest towards River Bluff Center. The old road's grade probably ran through the dirt field on the right. Looking east, just past River Bluffs Center. The original road probably ran through the dirt field on the left before merging onto the modern alignment.